When the report of a new analysis conducted by Johns Hopkins University and Save the Children International hit the newsstand revealing that Pneumonia will kill nearly 11 million global children by 2030, not a few analysts were worried. Indeed, many of them have deep concerns over the report which also indicated that more than four million of these deaths could easily be averted with concerted actions to improve rates of vaccination, treatment and nutrition. Yet, there are more worries as the report shows that Nigeria, India, Pakistan and the Democratic Republic of Congo (DRC) are likely to bear the highest burden of deaths, without timely intervention. The report is based on a model developed by researchers at John Hopkins University called the lives saved Tools (LIST). They show nearly 11 million (10,865,728) children will die by 2030 on current trends, with the highest burden of deaths in Nigeria (1,730,000), India (1,710,000), Pakistan ( 706,000), the Democratic Republic of Congo (635,000) and Ethiopia (407,000). Kevin Watkins, CEO of Save the Children observed, “It is the beggars’ belief that close to a million children are dying every year from a disease that we have the knowledge and resources to defeat, there is a vaccine available and a course of antibiotics costs just for 30 pence”. It is therefore not surprising that recently, Save the Children International in collaboration with the Lagos State Ministry of Health organised a one-day forum to address the rising cases of pneumonia among children, including its associated deaths among other consequences. 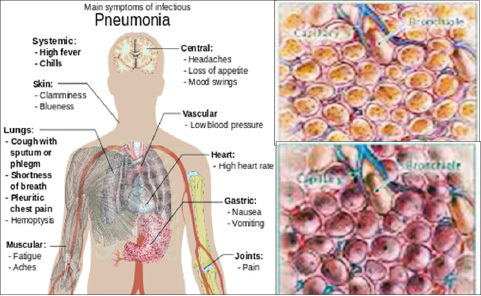 The event which was organised to mark this year’s world Pneumonia Day brought to the fore causes of pneumonia which reportedly kills more children globally than malaria, diarrhoea and measles combined. Dr. Olufemi Taiwo, Permanent Secretary, Lagos Ministry of Health, who spoke at the event, affirmed that his ministry recognised the increased cases of pneumonia in the state and that in the past two years they have embarked on activities to ensure routine immunisation. Taiwo commended Save the Children International for its efforts in ensuring the wellbeing of children locally and globally, expressing his ministry’s willingness to continue to collaborate with the organisation until pneumonia and other children-related diseases become a thing of the past. 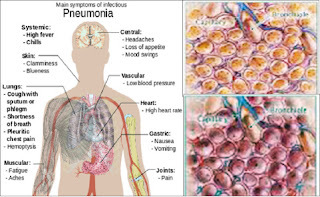 Also, Dr. Monsurat Adeleke, Coordinator State Integrated Maternal Newborn and Child Health Care, defined pneumonia as a form of acute respiratory infection that affects the small sacs in the lungs called alveoli. Alveoli, she explained could result into pus or fluid filled Alveoli leading to painful breathing and ultimately limits oxygen intake. Dr. Adeleke further described the disease as deadly, adding that it could be transmitted through inhalation of common bacteria in a child’s nose in to the lungs; air-borne droplets-coughing and sneezing and blood. She said most of the deaths arising from pneumonia occur in South Asia and sub-Saharan Africa. On the way forward, she recommended capacity building of health workers across the health sector, with greater focus on the private sector. Dr. Oluwatosin Adeoye of Save the Children International observed that the burden of pneumonia is too much on both locally and globally. “Even at the national level, Nigeria is one of the countries that have the highest number of pneumonia in the world. We are still battling HIV, malaria, diarrhea. Pneumonia is one of the most dangerous killer diseases, so we say it is important we will be championing the case of children in this regard. We are interested in children because we want to ensure that our children are free from this deadly disease,” Adeoye stated. He, therefore, advised that mothers should be observant, adding that when they notice any of the symptoms of pneumonia, they should take their wards to the clinic as early detection prevents the ailment from escalating. However, scaling up vaccination coverage to 90 per cent of children under the age of five could save 610,000 lives; providing cheap antibiotics could save 1.9 million, and ensuring children have good nutrition could save 2.5 million. If all three overlapping interventions were carried out by 2030, the model suggests a total of 4.1 million deaths could be averted. 2030 is the target date for sustainable Development Goals (SDGs), which include an ambitious global pledge to “end preventable child deaths” and achieve universal Health coverage.